Mayor Dale Massad called the meeting to order at 7:30 P.M. The invocation was given by Reverend Sandra Spaldi, Chapel of the Divine Spirit. The roll was called. Mayor Dale Massad, Vice Mayor Terrence Rowe, Councilwoman Jennie Sorrell, Councilman William Dittmer, Councilman Richard Bloom, City Attorney James Mathieu, and City Manager Vincent Lupo were present. Vice Mayor Terrence Rowe made a motion to approve the minutes. Councilman Richard Bloom seconded the motion. All were in favor. Thomas Brown: 7436 Candlelight Ct. – Spoke of the easements indicated in Pasco County Plat Book 18 Page 59 and 60, for the Candlelight Subdivision. He expressed concern of having a fence across the easement and explained that he contacted Code Compliance. 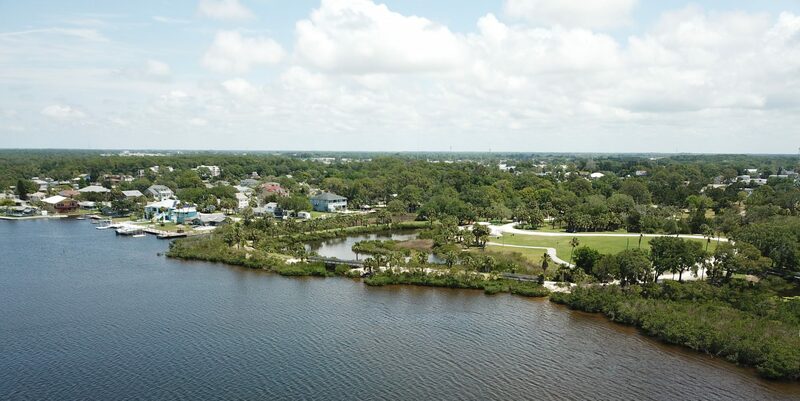 Phyllis Grae: Sandpebble – Explained that she sat on a City Board, many years ago, when the City decided on “Our gateway to the Gulf” for City signs and the website. She explained that several members of the board deliberated and decided on those specific words before presenting it to Council for a vote. She was concerned that the new City website did not follow the exact verbiage that was voted on by City Council. Staff advised that it would be corrected. City Manager Vincent Lupo explained to Council that the Federal Primary Elections were going to be held on August 28th, 2018. He further explained that since the Council decided last year to allow City Hall to become a polling place, the Council meeting would need to be rescheduled for the following day. Mr. Lupo then provided Council with a memo indicating important dates and events for the upcoming budget process. He provided Council with a handout explaining the water purchases and production rates over the last few years. He explained that staff is looking forward to sustaining the level of production and will prepare for a rate assessment as they continue to work on the budget for Council consideration. Mr. Lupo presented Council with an updated City Project list for August 2018 and reviewed the information indicated for each department. He requested several department heads to speak about the projects for their respective departments when he was done with his announcements. Mr. Lupo provided Council with an update to the current board and committee members as well as those who expressed an interest in volunteering for an existing board or committee. He also announced that the City would host a Fall Cleanup in September. He explained the details and announced that more details would be posted on the City’s website. Mr. Lupo also announced that a seagrass count was being conducted currently as required to be reported to the Army Corps of Engineers. Mr. Lupo requested Captain Koch explain the activity report for the Police and Fire Departments. Councilman Richard Bloom inquired about the funds generated by Uniform Traffic Citations and the specific use of those funds in regards to the upcoming budget. It was discussed amongst staff and Councilman Bloom. Mr. Lupo asked Chris Hughes to provide an activity report for the Public Works and Utility Departments. Assistant City Manager Jocilyn Martinez advised Council of the status of several grants the City has obtained or has applied for. Mr. Lupo invited Bill Muse to explain the activities and projects occurring in the Building Department. Mayor Dale Massad inquired about the grant funding in relation to Nicks Park. A discussion occurred amongst Council and staff. Mayor Massad asked Captain Koch about the status of a police investigation involving a few loose dogs. He also asked staff for an update on a previous discussion involving drainage at Quist and Old Post Road. Staff advised that they have contacted the County to look into the matter further. Mayor Massad also inquired about photo enforcement of the City’s waterways. Council and staff discussed the subject and advised that there are a number of legal and technical complications that would make that process difficult. Staff advised that if Council wished to employ an officer to patrol the waterways, it would be factored into the upcoming budget. Mayor Massad also asked about Police Department vehicles and weapons. Mr. Lupo advised that information would be prepared and discussed during the budget process. Councilwoman Jennie Sorrell advised Mayor Massad that she would like to attend the Pasco County Metropolitan Planning Organization (MPO). Mayor Massad advised that he would like to continue to attend but would welcome her to join him at the meetings also. Vice Mayor Terrence Rowe made a motion to approve the consent agenda. Councilman Richard Bloom seconded the motion. All were in favor. City Attorney James Mathieu performed the second reading of Ordinance 18-663 by title only. Councilman Richard Bloom made a motion to approve Ordinance 18-663. Councilman Richard Bloom seconded the motion. All were in favor except Councilwoman Jennie Sorrell who voted Nay. City Manager Vincent Lupo explained the proposed Sensus software upgrades as well as the benefits of the purchase. There was a discussion amongst Council and staff. Councilman William Dittmer agreed with staff that the cost over time to upgrade or continue with the current program is about the same but with much more work on the staff’s part to stay with the current, in conjunction with the additional risk of the system being hacked. He agreed that the system should be upgraded considering all the facts. Marybeth McMullen: 4682 Ebbtide Ln. – Asked why the City had not upgraded to cloud-based systems. Staff advised that it was a continued process to move all of the City systems from server-based to cloud-based. Vice Mayor Terrence Rowe stated that Council was not informed that the system was hacked prior to this meeting. He explained that the customers should have been advised that their information was subject to fraudulent use and Council should have been informed about the incident as well as the FBI investigation when it occurred. There was a discussion amongst Council and staff about the incident. Staff advised that the information that was hacked was only pertaining to customer’s usage and it slowly occurred over a period of time before it was noticed. City Attorney James Mathieu advised that when he took over as interim City Manager and City Attorney in 2016, he recalled that it was a big issue being resolved by staff, but at no time were the customer’s payment or personal information at risk. Further discussion occurred amongst Council and staff. Councilman William Dittmer made a motion to approve the meter reading system. Councilman Richard Bloom seconded the motion. Sandra Spaldi: 8612 Green St. – Stated that the decision to approve the upgrades was a no-brainer. She further explained that the Utility Department makes plenty of money for the City and should have the equipment and systems they need. A vote was taken. All were in favor. Councilwoman Jennie Sorrell announced that she had no old business for the evening. Mayor Massad mentioned that Council used to sometimes stay in session until 4:00 A.M.
Phyllis Grae – Stated that when she served on Council, they often stayed in session late into the night and there was a lot of commotion. She explained that the current Council did not have as much controversy amongst each other and were doing quite well. Mayor Dale Massad inquired about Police involvement in landlord/tenant and trespass warning type calls for service. Staff advised they would address those questions at a later time. Vice Mayor Terrence Rowe made a motion to adjourn. Councilman William Dittmer seconded the motion. All were in favor.